Another busy week for me! It’s been a week of great food and lots of fun times meeting new people and starting friendships. I finally started preparing for my trip to Peru in April and bought some walking boots, which will need breaking in as I don’t want to hobble the entire Inca trail – this will involve trudging about everywhere in my new boots, including the house to start with. It’ll be my new look – walking boots with everything! I am not so much into Valentines day so opted for ‘date night’ on the Thursday evening, with sausages and mash at a lovely pub in Brighton followed by Dallas Buyers Club at the cinema, which was nice and perfect for avoiding the crowds of couples out on the Friday night. Valentines was a very quiet evening in for me this year, which was bliss! Finally the weather in Brighton calmed on Sunday and we were able to sit and have a coffee in the sunshine in the North Laines, still a bit chilly but being British as soon as the sun comes out we-MUST-sit-outside… so we did. 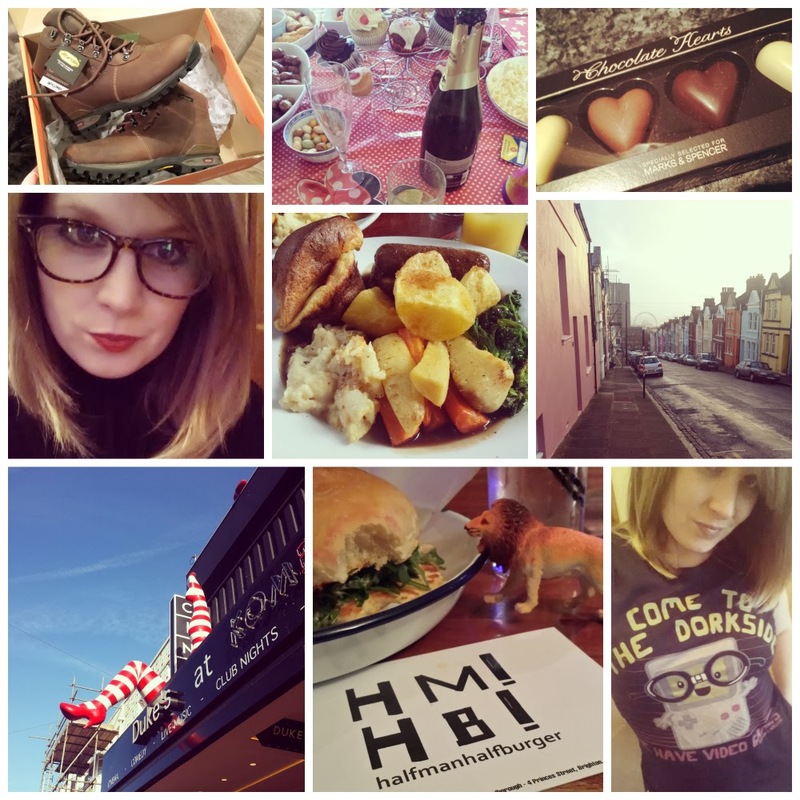 Lastly, I’ve spent some time this week getting my ‘geekface’ on working extra hours and overtime… hence my blog being a little neglected but my bank balance is grateful for it at least. I’m planning on giving my bloglette some love this week to make up for it, so watch this space.